In this article, I am going to tell you how to write SEO optimized content for your Post. SEO is done to make articles rank high in search engine result pages (SERPs). You can also check wiki definition of SEO. The search engine is the highest source of traffic for most of the blogs. But getting enough traffic is not an easy task. SEO is one of the essential parts of blogging. If you want to bring Organic traffic on your blog then you need to apply SEO from the day one of blogging. You have to make your blog SEO friendly. If your older posts are already SEO optimized, then they will continue to get traffic from the search engine. Today, I am going to tell you how to write SEO friendly blog posts or search engine optimized articles to rank high in search engine. Complete beginners guide to SEO. Before starting keyword research, you must know what a keyword is? The keyword is the phrase or a word that you can use on your website or in an article and make it possible for the end users to find your article via a search engine. Keyword research is the first task you should do before you start writing any article. If you don’t know what your targeted keyword is, then you can’t apply SEO. Now the question arises- How to search the Keywords? You can use Google Keyword Planner, Semrush and more platforms which will help you to find relevant keywords for your article. For ranking your article high in search engines you must choose the keywords that have more average monthly searches with low competition. While writing the article try to add your targeted keyword within first 100 words. If you want to rank your article on the first page in SERPs, then you need to target Long Tail Keywords which can be easily ranked with proper SEO Techniques. Keyword density is the percentage or number of times a keyword appears in an article as compared to the total number of words in the article. A search engine optimized article should have keyword density between 0.5-2%. You can use keyword density checker tool for calculating keyword density of your article. The title is the main part of your post. SEO optimized titles are essential for better search engine ranking as they convince the user to read the post. The title must be attractive, catchy and clickable otherwise no one opens your article to read. Thinking about how to write SEO optimized title?? Let’s see how to do it in detail. SEO friendly title will not only give your article more organic traffic but will also improve the Click through rate (CTR). If you are getting confused between these two different terms namely Post title and Meta title, let’s clear the difference between these two first. Post Title: It is how a reader will see your post title. Meta Title: It is how the search engine will see the post title and show it in search engine results. When you forget to mention a Meta title in your SEO setting, then by default your post title will be treated as your posts Meta title. For optimizing your article to rank in search engines, you have to optimize your title. For this, you have to use your targeted keywords in the title. The length of SEO optimized Post title should be less than 70 characters. Write tempting and attention grabbing post titles that will force readers to click open the post. Use words like best, perfect, include numbers, and list etc this will make your post title more attractive and clickable. You can clearly understand which title is better and more clickable. Meta description plays a vital role in search engine ranking. It is the text that is shown below your Meta title in search engine results. It is the short summary of your article that also tells users what the article is about and why he should click on it. SEO Optimized Meta description is limited to display only 156 characters. When the Meta description length is more than 156 characters then Google (Search engine) truncate the extra length. You should try to add your targeted keywords at least once in the meta description. Lately, on many occasions, we have seen meta descriptions in Google SERP’s which are over 250 characters. SEO-optimized Meta descriptions will not only help your article to rank better in search engines but also increases its CTR. It should be around 156 characters. Contain the focus and targeted keywords. It should be actionable, in an active voice. For optimizing your article to rank high in search engine, you must edit the structure of your permalink. The WordPress default permalink is not SEO-friendly, so when you upload a new post you should edit it manually before you press the publish button. For an SEO optimized article, you have to use proper heading tags for headings and subheadings of your posts. As the title is the most important part of your post. An SEO optimized theme uses H1 heading tag for post title (by default). There should be only one H1 tag in one single post. So, for subheadings, you can use H2, H3, H4 heading tags and so on. Add your targeted keywords in these subheadings. By using this method you can effectively optimize your heading. If you add an image in any article it will give a professional look to your article. But the search engines can’t read images. For this, we add “alt” tag in the image. Search engine recognizes this alt tag in the image. So, you should try to add your targeted keywords in the alt tag. Before you upload any image, you must give it a proper name. For example, if the image is in any river, then give the proper name of that river instead of using “image001.jpg”. This helps you to add proper alt text to the images. When you upload an image, then you can add alt text to image manually. In WordPress, while you are uploading an image you will get the Alt Text option in the picture sidebar. In the case of Blogger, you just click on the image and go to properties of an image to add Alt Text. Best reasons to add images to your website? Loading speed of your article also plays an important role in search engine ranking. Google prefer fast loading articles more than those who take a lot of time to load. The major factor that lowers the loading speed is the heavy size of images. To overcome this you must compress your images before uploading to your post. For this, you can use TinyJpg free online tool which helps you to compress your images without degrading their quality. Outbound links are the links from your article to any other article. This increases our article quality and also leaves a positive impact on the search engine bot. Inbound links, on the other hand, are called Backlinks. You may also check this post on Quora stating the difference between inbound and outbound link. Interlinking plays an important role in SEO. It reduces the bounce rate of your article. When you interlink your new article with your old ones, then Google (search engines) while crawling your new article will also re-crawl your old articles. You will see two options – URL and Title, while you are adding a link to a blog post. When you add the link to any post make sure to add its title or keywords in the title box. This helps your post to get better linking and perfect SEO optimized. Social media is an excellent way to bring traffic to your post, and if your post is getting more likes and shares, then it will move up automatically in the SERPs. So make sure to add social media sharing buttons to your post in order to get the maximum benefit. Try to provide information to your readers by writing long articles. They tend to perform better in search engine ranking. The minimum word count is 300 words. For a good SEO Optimized Article, always make it a point to produce lengthy articles as it is easy to incorporate more keywords. If you write epic content (more than 3000 words) the chances of your post going viral are much more. Also, it gets maximum shares and likes on social media platforms. 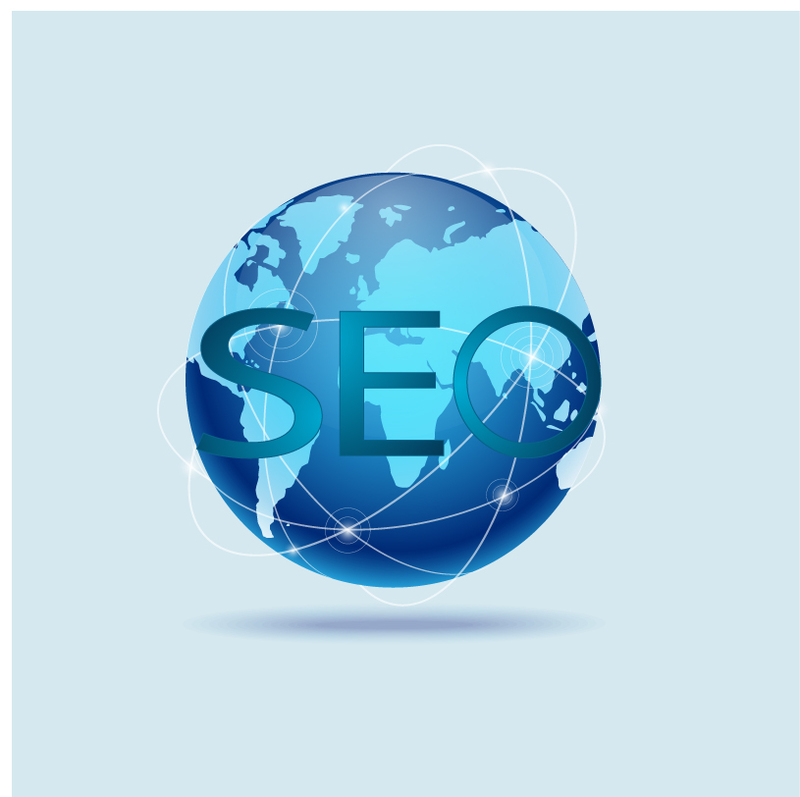 With the help of SEO, your post will rank high in search engine. When visitors come to your post they will read the content. For making engagement on your post, your content should be informative for the reader. SEO content for a website is the content created for the purpose of attracting the search engine traffic. If you are a good content writer then you can also search for SEO content writing jobs. There are many SEO content writing services available that provide you SEO optimized content or you can take the help of any SEO article writer. Quality content: If you are selling something and providing the same information as on other websites, then why people will visit your website? You should provide unique information so that they can spend more time on your website. So, try to add good quality content. Keyword research: For writing good content you must do proper keyword research. There are a number of tools available that helps you to find ways that people use to search for your content. Use of keyword: Use researched keywords in your content, if you want your article to be found for those particular words. Content Freshness: Always try to add fresh content on your blog. Google loves and gives value to fresh content. Structure your Post: Structuring your content into paragraphs and headings will make it easy to read and also keep readers engaged. SEO and content both are very important for an article. So, it is very important to use some techniques for getting higher traffic and engagement of readers. These are some of the tips and techniques for writing a perfect SEO optimized article to rank high in search engines which you can implement. With these different techniques make sure that your SEO content also provides maximum value to your visitors. I hope you found this article useful and informative as always. Do leave your valuable comments below and don’t forget to share this article with your friends. Hello! My name is Gaurav Jain, a full-time Blogger from Gurgaon, India. I crafted www.eMoneyIndeed.com, where I share tips on Making Money Online – SEO – Blogging and much more. Do check it out! You can also follow me on Facebook and Twitter. Thanks. Thanks for the guest post opportunity Robin. This is a very interesting post. Your information will be very much useful for the bloggers. Thank you so much for this wonderful post. Keep posting such good articles. Glad you liked the post Arumugam. Hi Gaurav, Don’t you think most of these points are already there in yoast SEO plugin, the main point is how you do keyword research and how you place each LSI keywords inside your whole article. If you know the importance of internal linking as well as external linking with authority website then you can rank almost each article. We should be conscious of placing appropriate keywords throughout every aspect of our site – our titles, content, URLs, and image names. We need to think about our keywords as search terms, how would someone looking for information on this topic search for it. Social media signals are too much important for SEO. We need to engage our audience on social media group or page as well be friendly with them. Eventually, thanks for sharing your thought with us. Well article quality and keyword research is really important to make our article show in search results. I think you shared some wonderful tips here. It’s good to know you like the post. Thanks for the tips. I didn’t think to check to see if my keyword was within the first 100 words. It is very important to include your primary keywords preferably in the first 100 – 150 words of your post. If you bold and highlight these keywords it is even better. Thanks for sharing great article for blog post optimization its really helpful for me. Thanks for the blog. I will surely implement this tips for my article. Very useful and informative post you’ve provided here. Very nicely explained this should help for the content writer. Thanks for sharing this post Gaurav. There are many points to remember to write SEO optimized articles.You need to write fresh articles but the article should have proper keywords density. You need to use proper heading formatting and all that. Thanks for the information. I thinks wordpress users can easily SEO optimized their article using Yoast SEO plugin..but the proper keyword research is very important…thanks gaurav, all these information is very helpful for me as a beginner in blogging….keep up the good work..!! Nice post… Gaurav. Nowadays Yoast’s SEO plugin has come up with a new update where they define “Cornerstone” article minimum requirement as 900 words. Are there any tips to get the balance right between SEO and great content? Because every time I create awesome content keywords are missing, and vice versa. Instead of using keyword again and again. I will recommend you to use LSI keyword with the keyword for better results. It will create a balance between SEO and content writing. Thanks for all these ideas! I did not know there’s more to just writing an informative content. Will definitely put all of these tips to practice in my next article! thanks for sharing very important article. Thanks for sharing very important article you are totally awesome…. This article is really the Ultimate guide and it has clearly explained the entire SEO process. Love this post! I wish more people would read this, you offer some really good suggestions on best practices for SEO. I love how you elaborated the step-by-step procedure of writing an SEO optimized article. This is truly helpful and very informative. Thank you so much for sharing this! There are many points to remember to write SEO optimized articles.You need to write fresh articles but the article should have proper keywords density. You need to use proper heading formatting and all that. Thanks bro for the great information.